With the struggling economy, more and more people are finding themselves knee deep in debt. One way that you can try to eliminate debt problems is with balance transfers. Balance transfers take place when you transfer credit card debt from one credit card to another. You might have a high interest card; therefore, you transfer your balance to a card with a lower interest rate. It can be an effective way to get out of debt. You do not realize how much you will end up paying in interest if you have a high balance on your credit card. If the interest rate is high on your credit card and you feel like there is no way that your balance can be paid in a reasonable amount of time, then you should consider a zero percent balance transfer. 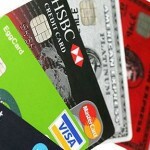 Many cards offer a zero percent interest rate for a certain amount of time. Just keep in mind that if the balance is not paid before the introductory period expires, you will start paying high interest rates again. If the offer is about to expire, go online and look for another zero percent balance transfer interest rate card. This can be a very effective way to eliminate your debt without having to pay high interest rates. In order to pay off the balance credit card before the introductory period expires, you need to form a budget. You need to know exactly how long it will take before you can eliminate your credit card debt. If you cannot get the balance to zero before the introductory period expires, you will want to apply for another card. Some credit card companies offer better terms than other companies do. You do not want to apply for a credit card that charges fees for balance transfers. These fees can really add up, and you could end up in deeper debt. Balance transfers can be successful in getting you out of debt; however, you need to have a plan and stick to it. You want to make sure that you eliminate your debt, not add to it. Therefore, consider all of your options, and find a credit card that offers great deals on balance transfers. Your debt problems will then soon be over.